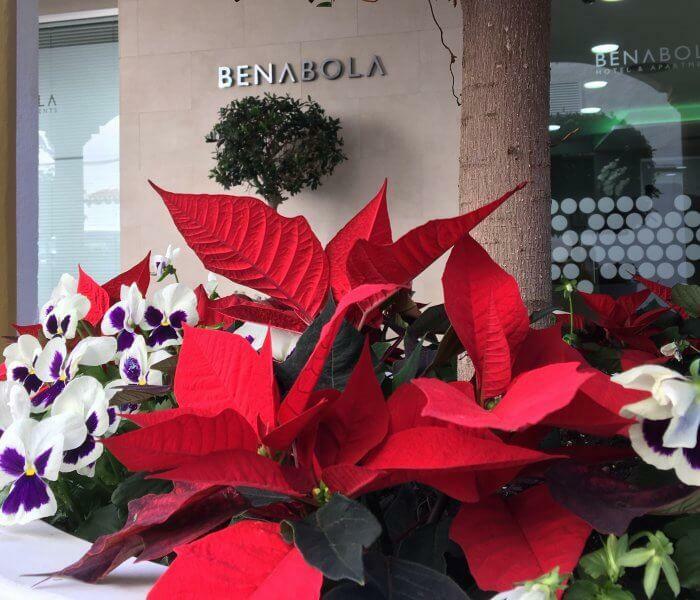 We really enjoy the festive period at Hotel Benabola and we’re going to tell you why spending Christmas in Puerto Banús is so special. Are you up for it? Puerto Banús fills with life during this season; this year we are going to enjoy a spectacular Christmas market with sea views! Christmas will be kicking off soon in Puerto Banús so that we can all take maximum advantage of it. The market stalls will be set up on 6 December and will stay until 6 January 2019 when the Three Kings arrive for Epiphany. This market will feature wooden huts decorated with plenty of Christmas cheer; there will be stalls with a wide range of gift products, toys, handicrafts and gourmet food on sale. During Christmas in Puerto Banús we all make an effort to make sure it looks beautiful. All trades in the area put up fantastic decorations in their window displays. Taking a stroll through the streets to enjoy the boutiques is always special, but when you add the decorations and lights in the streets it’s something magical! In addition, animatronic shows will be put on this year as part of the market, to be enjoyed by young and old alike. Everybody knows that the weather in Puerto Banús is spectacular, but it’ll snow this year! Artificial snowfall will also be a feature this year, to give a white touch to your Christmas in Marbella. As you’re at the Hotel Benabola, one thing that we can recommend is a visit to Malaga. It’s one of the cities in Spain that puts the most effort into decorating its streets, so the result is always spectacular. Larios Street is well worth a visit, as a sound and light show that attracts increasing numbers of visitors can be enjoyed here at several times during the evening. It’s also possible to view the nativity scene set up in the Carmen Thyssen Museum, and there are plenty of shows put on by choirs throughout the Christmas period in Malaga. Another fundamental feature of Christmas is cuisine. 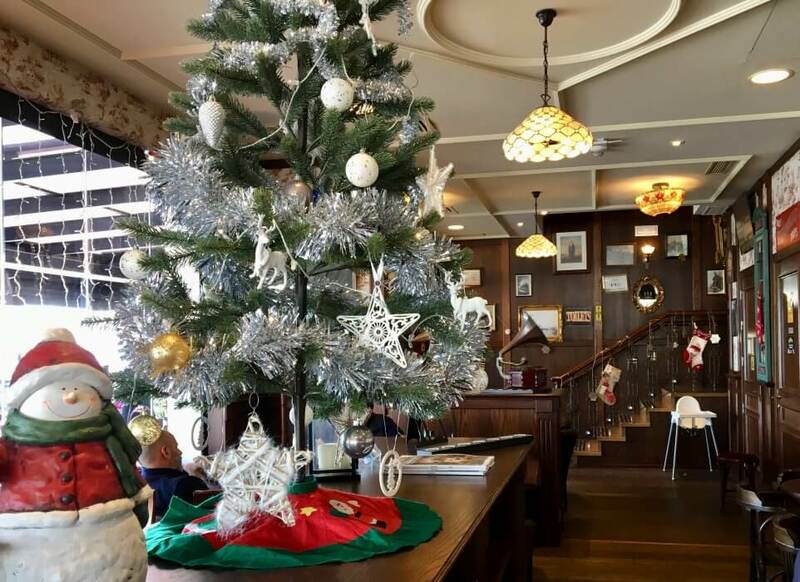 It’s almost mandatory to eat well during this time of year; if fantastic food is available year-round at restaurants in Puerto Banús, just imagine what it’s like at Christmas! As you can see, eating is yet another thing you don’t have to worry about, particularly because you can enjoy delicious Benabola. Taking a seat at a table with your loved ones and enjoying the best food is something that we all love doing year after year. This is why Christmas at Puerto Banús could become one of your best memories, don’t you think? How about a New Year’s eve at Hotel Benabola as a climax to Christmas celebrations in Puerto Banús? Enjoying a festive, relaxed and friendly ambience for the last big celebration of the year is the perfect way to see 2018 out with a bang. Do you feel like celebrating Christmas? 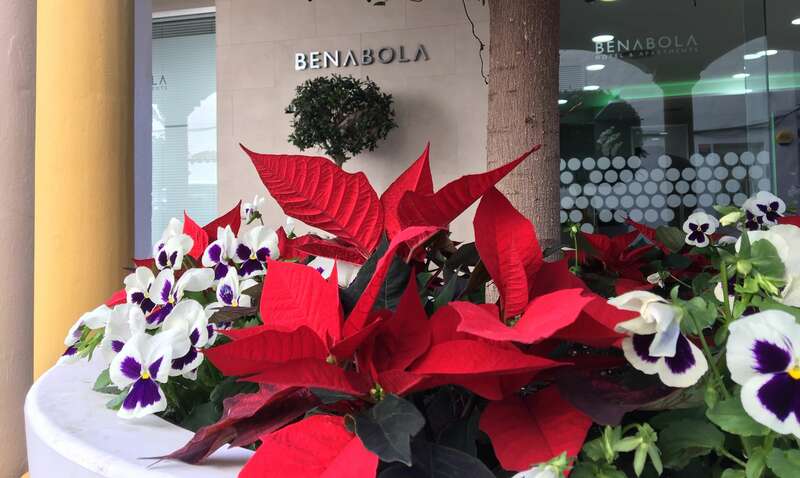 Don’t miss out and come to enjoy Christmas in Puerto Banús at the best hotels in Marbella at benabola.com. Hotel Benabola wishes you a Merry Christmas!